In association with the varying piling techniques available by us, these incorporate into the underpinning service we provide. 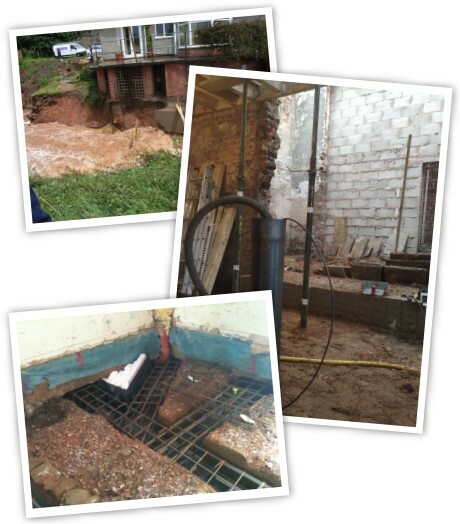 Where applicable, mass concrete traditional underpinning is undertaken as it is the most cost effective solution where the ground conditions dictate a depth of no more than 1.75m is required below ground level to found the underpinning bays. Beyond this depth, piled underpinning becomes both cost effective as well as a safer option in respect of health & safety regulations and requirements. As with all of our piling works, full heave protection systems are available through varied techniques / materials.